It can be a daunting task to choose a health insurance plan. Healthcare is expensive and your choices to find savings may seem limited. It becomes daunting we you look at the actual cost health care services. For example, having a baby, with an average hospital stay can cost around $30,000. However, health insurance is a important way to reduce those cost that your pay and share some of the financial risk with others. Health insurance works because most people are healthy most of the time, so their premiums help pay the cost of the smaller population that is sick, injured or are in need of medical care. There a three big questions that you should ask yourself when you are looking for a health insurance plan. 1. What Does Your Insurance plan cover? Insurance is usually sold to small businesses and individuals to cover 10 major health benefits. It doesn’t matter which health plan that you purchase, any one will cover theses services. Insurance rules for large companies, with many employees are slightly different, but many will cover the same benefits. You should ask your employer and/or benefits provider what is covered and what is not. You can ask for a Summary of Benefits an coverage, which is standard and should be available to all employees. The plan will outline what is covered and was is not. Also you should know that under certain circumstances if your plan is currently older than 2014, before the healthcare reform law took effect, your plan can be renewed , even though they may not have all the consumer protections available within new plans. You should have received a notice from your company and provider about this within your annual renewal date. 2. How much does your Insurance Plan Cost? 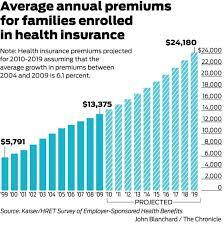 You will likely pay your insurance plan wither by a monthly premium or through copays, deductibles and coinsurance, you share the cost you pay out of pocket with your insurance company, when you receive medical care. In a general rule, the higher the deductible the lower the insurance premium, and vice versa. Premiums – To make its simpler for individuals whe are buying standardized plans with multiple combinations of premiums and cost shared. Platinum plans cover 90% or your cost and have the highest premiums, with lost out of pocket cost. The average deductible is $347. Silver plan covers 70% and have higher out of pocket expense than the gold plan, with a $2,907 deductible. You will need to choose which plan works best for you by comparing each plan, and determining your health needs that best suit you. If you have an expensive medical condition, you may want to choice a plan with a higher premium so that your insurance would cover more of your cost. If you are a generally healthy person you may want to pay a lower premium and a bigger share of your health cost because the likelihood of you needing serious medical care is low. You will need to be prepared to pay more if you become sick or injured. Out of pocket expenses are the shared cost that you share with your health insurance company. Cost sharing does not include the cost or your monthly premium. Cost sharing is not standardize for every plan so the provisions can be confusing occasionally. You can buy insurance through your state marketplace and see and compare the cost-sharing prices and structure to make better estimate of your final cost of premiums and cost sharing. If you get your insurance through your employer you can use their Summary of Benefits and Coverage Form. There are multiple types of cost-sharing terms that you likely see in your health insurance plan. A DEDUCTIBLE is the mount that you pay every year before your insurance company will start to pay. If your deductible is $1500 then that means you first pay $1500 in cash for the first $1500 in healthcare cost. In all plans you will have preventive services that will be covered in full or partially by the insurance company even if you have not use all your deductible. Some pay for portions of your doctor visits and prescription drugs. The higher value Gold Silver and Platinum plans cover all services before your deductible is met. COPAY is the fixed amount you pay for certain types of care. You may pay $25 for your doctor visit your your health insurance company will pay the rest . Plans with higher premiums typically have lower copays and vice versa. Some plans may not have any copay. COINSURANCE, This is when your insurance will pay a percentage of the cost of your medical care. If you have an MRI that cost $1,o00 than you will pay $200 or 20% and the insurance will pay the other $800 or 80%. 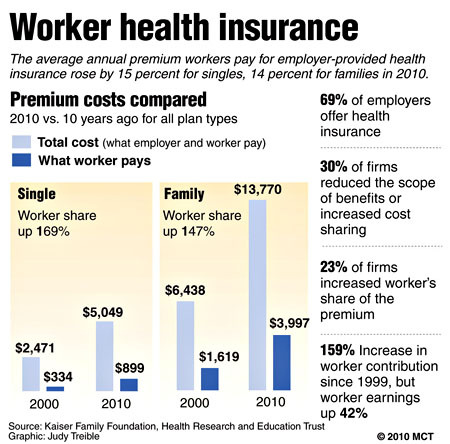 The higher premium plans will pay a higher percentage. Out-Of-Pocket limits are the most that you have to pay in a year. IN 2014 a person’s out of pocket limit can be no more than $6,350 or $6,450 in 2015 for a person and $12,700 or $12,900 in 2015 for a family. Gold, Silver and Platinum plans will have lower limits. Once your hit these limits and out-of-pocket expenses then your insurance will pick up 100% of the cost. 3. Which doctors and hospitals are part of your Insurance Plan? All insurance plans have a network of providers – hospitals, doctors, laboratories and image and diagnostic centers and pharmacies. These providers sign contracts with the health insurance company and the insurance agrees to pay the provider a specific price. If you go see a health provider outside of your network the insurance company may charge you a higher copay, or not cover the bill. The doctors and providers you see on a consistent basis should be insurance plan’s network.